Knowing how to master the major trend of the market, Forex trading is easy to accomplish. OLA trend line has indicated downward trend within this six months, by selling short several times at high, profits can be generated substantially. OLA shown downward trend, basing on “Spicy Chilli Exit Price“, short at OLA high. Whenever there is a price adjustment, short selling by using “Exit Price“. In fact, previous day ‘Exit Price‘ appeared first preceding the Spicy Chilli point appearance. Before entering, make sure you set the stop-loss point. Excited to know how to use the INSIDERS‘ signals? 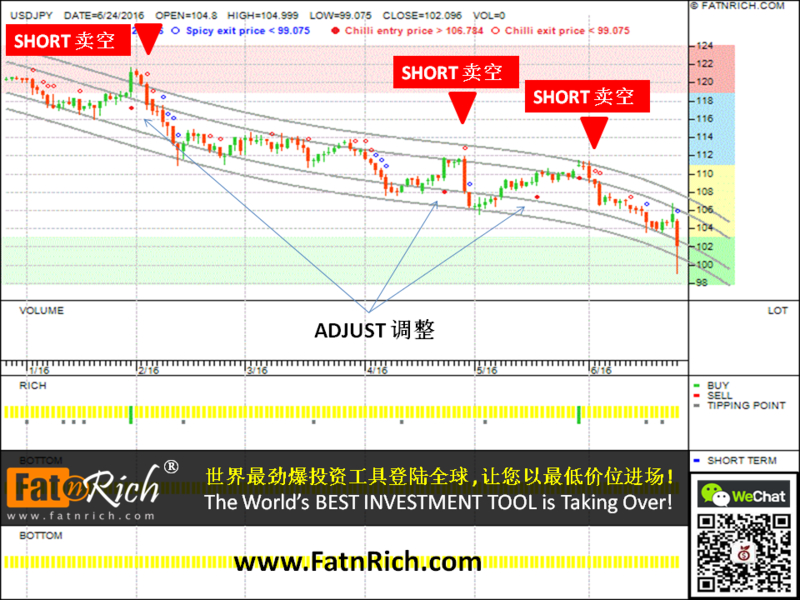 This entry was posted in Forex and tagged buy sell indicators, Buy-Sell Signals, currency exchange, extra income, Foreign exchange, Forex, forex exchange, Forex indicators, Forex Market, Forex trading, free forex training course, investment software, investment tools, USDJPY. Bookmark the permalink.